Halloween is one of my favorite holiday's! 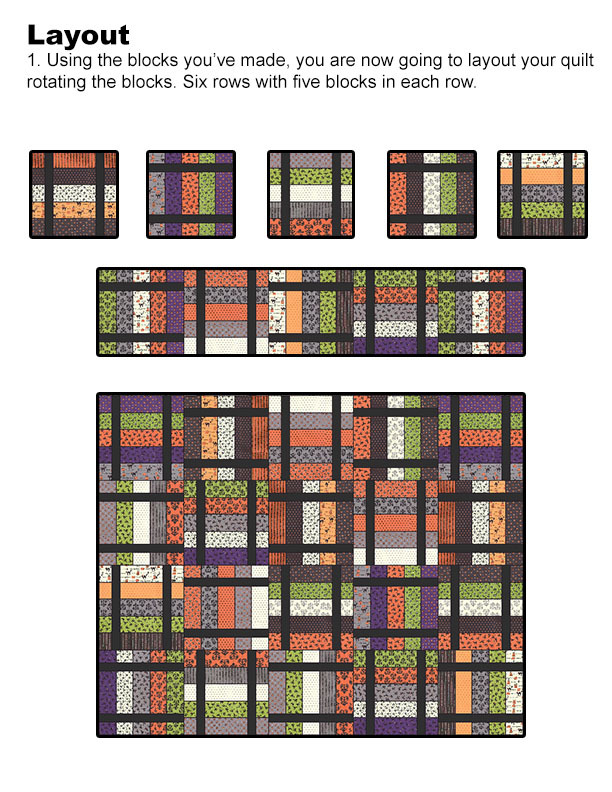 Here is a easy quilt you can whip up just in time before October. Finished Size is 50" x 60". Not into Halloween? 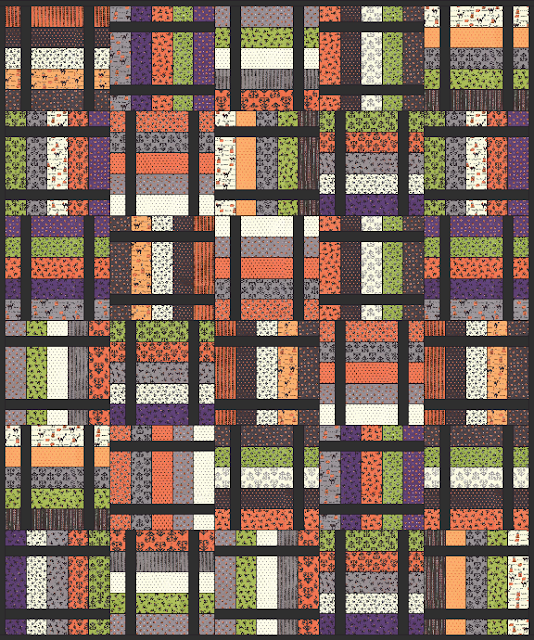 This quilt would look lovely in any fabrics! 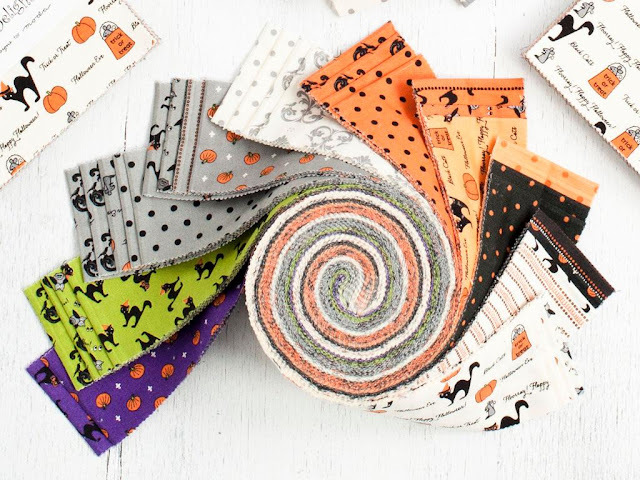 Spooky Tales has been featured on FaveQuilts! 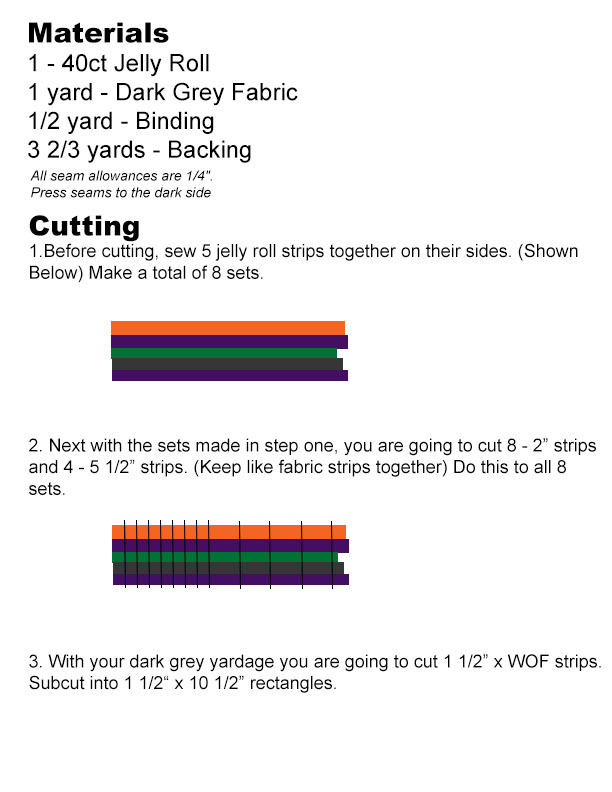 Check them out for tons more free patterns. 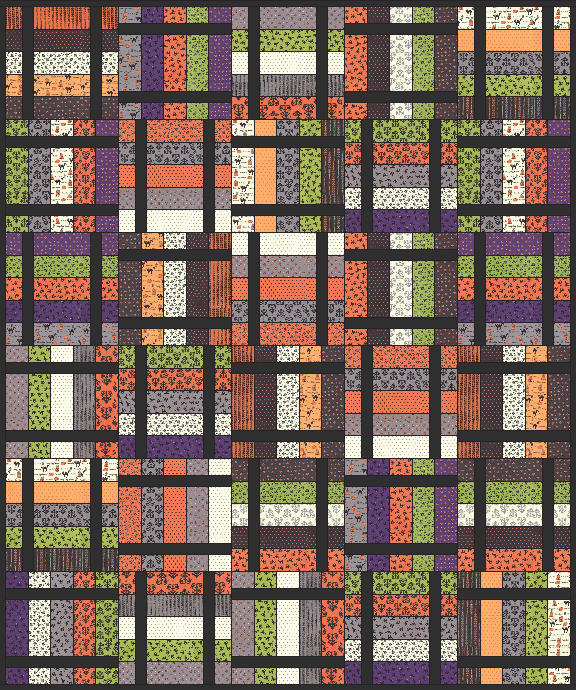 Fabrics used in this quilt are from Moda's - Spooky Delight Collection. Craftys currently has this collection for 25% off! My favorite print is the little bats in this line. They are so cute! I also used Kona Charcoal. 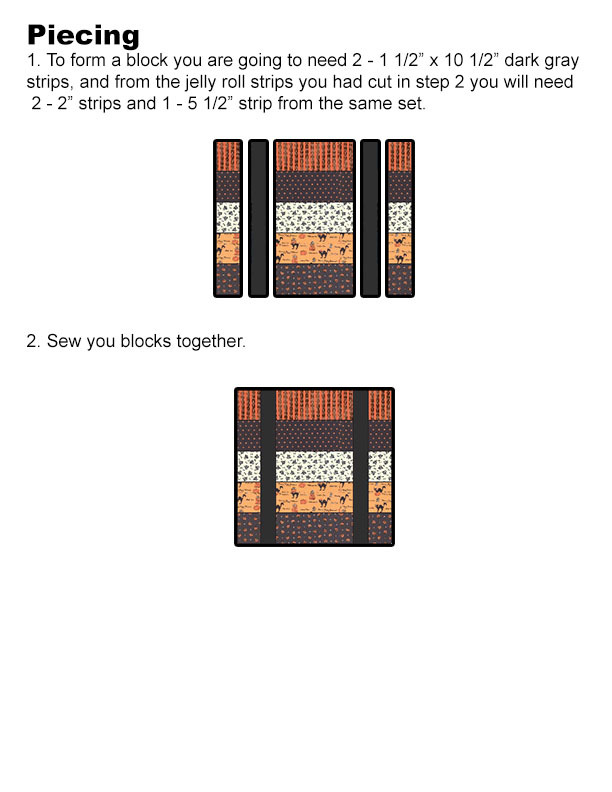 To download this pattern as a PDF, go here. Needed an easy one. Thanx! Maybe this one can be completed!